Due to the following timeline of events in 2009, we urge caution on beginning an Ethiopian adoption. Furthermore, we recommend that prospective adoptive parents work with agencies that have programs in other countries as a contingency plan should Ethiopia slow down considerably or shut down. It is important to mention that many agencies who currently are working in Ethiopia are not Hague accredited (see accredited list: http://adoption.state.gov/hague/accreditation/agencies.html ) and some have been denied Hague accreditation (see denied list http://www.adoption.state.gov/hague/accreditation/deniedagencies.html ). CORA is a member of the Advisory Council of International Adoption in representing the families in Spain and has mostly adoptive parents as its members. CORA Federation demands in a letter sent to the Adoption Advisory Council is halt the adoption of children from Ethiopia in the absence of control mechanisms to ensure that adoptions in that country are made pursuant to the principles of the Hague Convention. In recent months, various reports have appeared on adoption in Ethiopia to raise serious questions about the guarantees of the adoption system in this country. The facts alleged by both the international press for a number of Spanish families are so serious that the Spanish government can not remain pending. They must take action on the matter at all cost to prevent the perpetration of a single defect that involves dragging a child from his family. For the partnerships we form CORA adoption is a means to a family of girls and boys who do not. It is a means of satisfying the desire for parenthood of western citizens can make donations to the third world. Joint Council on International Children’s Services (JCICS) is a US-based adoption service provider organization. "Joint Council's President, Tom DiFilipo, and Director of Programs and Services, Rebecca Harris, will travel to Ethiopia on October 2, 2009 for nine days. Meetings are currently being arranged with Ethiopian, U.S., and other government officials, adoption service providers, and other NGOs working in child protection and/or children's services. While the goal of this advocacy trip are many, just one is to continue Joint Council's broad-based review of intercountry adoption practices in Ethiopia. Just as the Summary Statement of September 21 is not focused on one individual or entity, Joint Council's review includes all individuals and organizations practicing intercountry adoption with particular attention to those practices that abuse children and families..."
"Joint Council’s Director of Programs & Services, Rebecca Harris, and President, Tom DiFilipo, conducted an advocacy trip to Ethiopia from October 2 through October 9, 2009. Meetings were held with officials of the U.S., French, Australian and Ethiopian governments, Joint Council Member Organizations, The Network and other stakeholders. Details of Joint Council activities in Ethiopia will be published soon." “…A key reason for the suspension is a new requirement of the Ethiopian Government that the program enter into a formal agreement to provide community development assistance. The Australian program has previously been exempt from the requirement to provide financial/material assistance because of its unique Government-to-Government arrangement. We have recently been advised that this exemption can no longer continue. The review is considering whether implementation of the new arrangements is consistent with Australia's obligations under the Hague Convention…"
"Australian couples who have been waiting for years to adopt a child from Ethiopia say they are devastated by the Government's decision to suspend the program..."
"Ethiopia-Australia Program–Possible delegation visit to Ethiopia–18 December 2009"
"...The Department has previously committed to completing its review of the Ethiopia-Australia program by the end of 2009. The review of the program is now expected to be completed in early 2010, after the visit..."
"The Australian Government has suspended all child adoptions from Ethiopia over fears that it could be breaking human rights laws against child trafficking..."
"The Australian Government has suspended all child adoptions from Ethiopia over fears that it could be breaking human rights laws against child trafficking"
As the Department’s review of the Ethiopia program has progressed, it has become apparent that a further visit to Ethiopia may be necessary to investigate some of the issues identified in the review. The Department is hoping to visit Ethiopia in early 2010 (dates to be confirmed). A report of the delegation will be made available on the Department’s website. The delegation hopes to hold discussions with representatives from the Ethiopian Government as well as our representatives in Ethiopia. The delegation will also visit Koala House and some orphanages associated with the program. The Department has previously committed to completing its review of the Ethiopia-Australia program by the end of 2009. The review of the program is now expected to be completed in early 2010, after the visit. A decision about the future of the program will be made as soon as possible following completion of the review. The Department is conscious of the importance of completing the review quickly, in order to limit uncertainty for families affected by the suspension. The suspension will continue pending finalisation of the review. As before, activity during the suspension will be restricted to those children already referred to the program. No new children will be accepted by the program during the suspension." 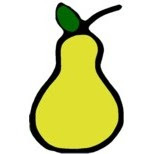 PEAR looks forward to a timely report from the delegation. PEAR would like to share an interpretation of a recently released study. We applaud all efforts to study foster and orphanage populations, but wish to caution the adoptive community on making conclusions without understanding the basis of the study, populations and methods used. The first sentence of the Scientific American article misinterprets the population of the actual children studied. This was not a comparison of adoptive children (domestic or international) with those in orphanages. This compared children in some orphanages with children mostly in family care settings in select countries. Since 90% of community-cared children were being taken care of by a biological parent, grandparent, aunt or uncle, “foster care” is a grossly misused term. The breakdown of community care is as follows: 55 percent of the community sample was being taken care of by one biological parent, 22 percent by grandparents and 13 percent by aunts or uncles. Seventy-six percent had one parent known to be alive. Besides looking at six- to twelve-year olds only, they excluded street children and special needs children (those which have repeatedly been identified as suffering cognitively and emotionally without good care) and children deemed for international adoption (the determination of which is unclear), only 10 percent of the sample of children had been institutionalized for greater than 5 years, 25 percent had resided in the institution for less than one year and 75 percent didn't enter the institution life until age 5 or older. The quality or quantity of previous familial care was not ascertained. It is notable that most children were pre-pubescent. There is increasing evidence that puberty is associated with worsening or onset of many mental illnesses. There was only one measurement of skills taken. One cannot conclude that the child will continue to develop appropriately or if there will be a discrepancy as the child ages compared to those living in foster care in the community. There was no evaluation of the training of caregivers in either of the settings. In large institutions, only 20 children were selected, albeit randomly. In small institutions, all children were selected. There was no analysis of caretaker ratio differences in the large and small institutions, just a report of the average. Human Development (HDI) rankings used to determine countries for this study can be found at http://hdrstats.undp.org/en/indicators/82.html. Five countries were studied. Cambodia represented 12% of the institution sample and placed 0 children to the US (fiscal 2009, http://www.adoption.state.gov/news/total_chart.html). Ethiopia represented 18% of institution sample size and placed 2277 children to the US in fiscal 2009, making it the #2 sending country. Tanzania represented 18% of institution sample and placed 4 children to the US in fiscal 2009. Kenya represented 18% of the institution sample and placed 21 children to the US in fiscal 2009. India had two regions in this study representing 33% of the institution sample and placed 297 children to the US in fiscal 2009 making it the #9 sending country. We encourage further studies. We would recommend including the following features that are important for the adoptive community. • Studying population groups of ages infant to toddler, primary school aged, pre-pubscent, within a year post-pubescent, teenage years in addition to analyzing due to length of time in institution. • Getting a baseline measurement and obtaining multiple measurements for a individual child over time. • Studying children with special needs, “street” children and those that may meet international adoption criteria. • Omit or analyze separately children being raised by a single parent as there has been no break in attachment for these children. • Study children in from countries in the low category on the 2009 Human Development Index (HDI), not just the medium category that this study only looked at and in more countries where international adoptions occur, such as China, Russia and the other top 20 sending countries. • Have a baseline measure of quantity and type of training that each caretaker has and include that in the analysis. • Specifically define the different types of institutions and compare them. • Test more categories of cognition, This study reported only the Sequential Processing/Short term Memory and Simultaneous Processing/Visual Processing portions of the Kaufman Assessment Battery for Children-II. It would be useful to understand how children score on the other sections Learning Ability/Long Term Storage and Retrieval, Planning Ability/Fluid Reasoning, and Crystallized Ability or to use a standardized measure for attention, motivation, and memory instead of a modified, non-standardized version of the California Verbal Learning Test. • Instead of brief behavioral screening tools that have no published data for psychometric properties as the SDQ was used in this study, we recommend using a standardized form that has psychometric properties or first undergoing a standardization process of a form specific to these populations. • This study had only the children's self-identified primary caregivers respond to surveys about behaviors the children. It does not appear that health professionals trained to identify behavioral issues answered questions about the specific children. We recommend a method more robust than caregiver self-reporting for behavioral issue identification. • Health issues were caregiver reported only. We recommend some standardized health check given by a health care practitioner. • Evaluate social abilities, abilities to obtain a vocation and suicide rates. Due to the exclusion of so many of the features we have identified as important, we do not feel this study has enough data to make conclusions about better care in any situation. The US Department of State issued an adoption notice on December 22, 2009. Prior to this ruling, all applicants 15 years of age or older had to be tested for HIV as well as those under age 15 if there was reason to suspect HIV infection (for example, if the child had a parent that was HIV-positive). PEAR’s POSitive study showed that only 64 percent of adoptees received HIV testing after returning home. PEAR agrees with the American Academy of Pediatrics test recommendations that all international adoptees should have a HIV serology test performed. Additionally, PEAR recommends that placing agencies provide information to prospective adoptive parents about the risks of HIV infection in the country that the parents are adopting from as well as information on how to obtain the in-depth medical examination overseas as the Department of State has suggested. Since China began working with relevant countries in inter-country adoption, the cooperation has been smooth and tens of thousands of Chinese children have been adopted by foreign families. The majority of them are growing healthily under the care and love of their adoptive parents. However, some media reported on December 14 about an American adoptive father who sexually abused his Chinese adoptive daughter, which have attracted broad attention and caused great shocks. Although this is a very rare case, it has caused negative effects on inter-country in China and is against the healthy development of inter-country adoption. 1. CCAA will suspend the cooperation with relevant American agency and decide whether to continue cooperation with this agency depending on its treatment of this incident. 2. It is suggested that all the government departments and adoption agencies conduct a following-up research of all the children adopted from China. If problems turn up, relevant parties shall assist in the re-placement of the child affected and notify CCAA accordingly. It is also advised that government departments and adoption agencies do a good job in the post-placement following-up of adopted children in the future. 3. To learn a lesson from this incident, it is suggested that social workers of government departments and adoption agencies evaluate the eligibility of applicants factually and in details. Social workers shall not only evaluate quantifiable factors such as age, profession, education background, income etc., but also evaluate whether the applicants are loving parents and with good personalities, as reflected in feedbacks from schools, communities, churches, social groups, etc. so that the reports provided can serve as dependable reference for CCAA during the reviewing process. 4. CCAA will adjust the present post-placement reporting policies and improve this reporting system, after seeking opinions and comments from different parties, based on the new situation in inter-country adoption. 5. Depending on individual cases, CCAA will suspend or terminate cooperation with agencies that are involved in cases where adopted children’s interests and rights are harmed. Home study reports prepared by social workers who are involved in such cases as well as the social workers themselves will not be recognized by CCAA. Government departments and adoption agencies shall follow the principle of “everything for the children” and assist in relevant work to guarantee the protection of rights and interests of adopted children and maintain the cooperation in inter-country adoption. According to some sources, the case being referred to involves Faith International. Archived News Article in The Olympian: "Kite Girl helped Eddy and Donna Whisenhunt settle on a name for their adopted daughter from China" names Faith International as the adoption agency used by the Whisenhunts to adopt their daughter from China.The article was published February 17, 2005. On December 3, 2009, a new law on intercountry adoption was signed by the King of the Government of Cambodia. The new law seeks to create a country-wide comprehen­sive child welfare system and an intercountry adoption process in compliance with the Hague Intercountry Adoption Convention. This is an important first step in Cambodia's expressed commitment to reforming its child welfare system and in seeking to meet its treaty obligations under the Convention. Cambodia has indicated that the processing of all intercountry adoptions throughout the country will be suspended until the law is fully implemented and necessary procedures are in place. intercountry adoptions or when adoptions will be able to resume between the United States and Cambodia. In order to implement the new law fully, Cambodia will first need to establish the necessary government structures to support it, draft and finalize prakas (Ministerial orders/regulations) , and determine and fill staffing and training needs. Issues related to transparency in fees, procedural safeguards, determination of a child's eligibility for intercountry adoption, criminal penalties and the creation of a strat­egy to formalize and strengthen the domestic adoption system will all need to be effec­tively addressed. system and an intercountry adoption process that fulfills its obligations under the Hague Intercountry Adoption Convention and welcomes its efforts to fully implement the new law on intercountry adoption. Updated information will be provided on www.adoption. state.gov as it becomes available. The US Embassy in Moscow will be closed on the following dates in 2010. Please take note of the dates when planning travel and visa scheduling for Russian adoptions. **The “bridge” holiday on November 5 is only tentative; please confirm this holiday with the Embassy. "The Office of Children’s Issues in the Bureau of Consular Affairs is pleased to announce that the final statistics on the total number of orphan (IR-3 and IR-4) and Hague Convention (IH-3 and IH-4) visas for children adopted to the United States for Fiscal Year 2009 (October 1, 2008 through September 30, 2009) are now available. The numbers may be viewed at our website at: http://www.adoption.state.gov/news/total_chart.html. This notice has also been posted on our website at Adoption.State.Gov/news/notices.html." Susana Luarca, aka María de la Asunción Loarca Saracho, an attorney who assisted numerous intercountry adoptions from Guatemala was arrested yesterday in Guatemala and charged with trafficking, adoption abnormalities, and falsification of documents in connection with adoptions she handled for foreign families. The article is in Spanish but can be translated via Google Translator or other online translation services. iGive.com is going to attempt to donate $5,000 in just 24 hours to Parents for Ethical Adoption Reform. For each person who joins iGive using the special link below and does just one web search on iGive's site between now and noon Thursday, they'll give Parents for Ethical Adoption Reform a dollar. Of course, if you search more (or buy something) they'll earn even more money for Parents for Ethical Adoption Reform. Right now, they are donating $.02 per search and a bonus $5 for that first purchase plus the usual percentage. iGive is really proud of its search capability, powered by Yahoo! They have made tons of improvements over the past four months! If you keep on searching or shopping after testing iGive out, so much the better for us at Parents for Ethical Adoption Reform. - Offer active between now and 11:59 a.m., December 17, 2009 (Chicago time). - New members only (never have been an iGive member previously). All the normal rules of membership, searching, and purchasing apply, the iGive site has the details. - Once they have given away $5,000, the offer ends. The U.S. Embassy in Monrovia has been informed by the government of Liberia that it will soon issue exit clearances, on a case-by-case basis, to children who’s full and final adoption had been completed prior to January 26, 2009 and approved by Liberia’s Ad-hoc Central Adoption Authority. Prospective adoptive parents who believe their case might fall into this category should contact the Consular Section at adoptionsmonrovia@state.gov to discuss next steps in the visa process. Prospective adoptive parents and adoption service providers are reminded that a consular officer is required, by law, to complete a Form I-604 (determination of orphan status) before issuing a visa in all IR-3 and IR-4 adoption cases. In some cases this may require only a conversation with the birth parent, but in others it may require a full field investigation possibly lasting several weeks. Since verifying the parent-child relationships in Liberia is difficult, we also expect that in most cases where the child was relinquished by the birth parent, DNA testing will be recommended in order to establish a blood relationship between the adopted child and claimed birth parent(s). The Bureau of Consular Affairs will provide the Consular Section in Monrovia with extra staffing in January and February to help process the expected backlog that will develop as a result of these developments. Over the past few days both JCICS and Ethica came out with statements confirming that the U.S. Department of State submitted a letter of interest to the Guatemalan government regarding participation in the pilot program announced by the Central Authority of Guatemala. This morning, PEAR received an adoption alert from the DOS confirming that the DOS submitted a letter of interest. We are concerned that the US Department of State, as our Central Authority under the Hague, did not release this information to the public prior to disclosing it to non-governmental organizations (NGOs). We have read both the JCICS' and Ethica's statements and agree that prospective adoptive parents should not attempt to file an I800a for Guatemala at this time. In light of the reported program condition of having only one adoption service provider selected per participating country, we also call on Hague ASPs to curb their enthusiasm over the potential reopening of Guatemala and refrain from encouraging or assisting prospective adoptive parents in filing I800as, beginning paperwork leading to a Guatemalan adoption, and/or entering into new contracts with prospective adoptive parents for adoption services under this pilot program. In addition, we are respectfully requesting that in the future the DOS to make timely announcements to the entire international adoption community and the public at large, not just a select few supposed "stakeholders". We would like to remind the DOS that the true stakeholders in international adoption are not ASPs and organizations that represent ASP interests. The true stakeholders are members of the adoption triad: adoptees/prospective adoptees, families of origin, and adoptive parents/prospective adoptive parents. The Hague Convention requires transparency and we are calling on the DOS to honor that by publishing timely information concerning all Hague country programs, processes, and developments on their adoption website and USCA email notices before making these announcements privately to non-governmental, non-accredited organizations. pre-adoption preparation and post adoption support for adoptive families and adoptees. The Executive Summary is particularly detailed in their psycho-social and policy recommendations. Part Two, Chapter III contains helpful summaries of adjustment of international adoptees, including attachment, cognitive, behavioral, mental health and self-esteem aspects.